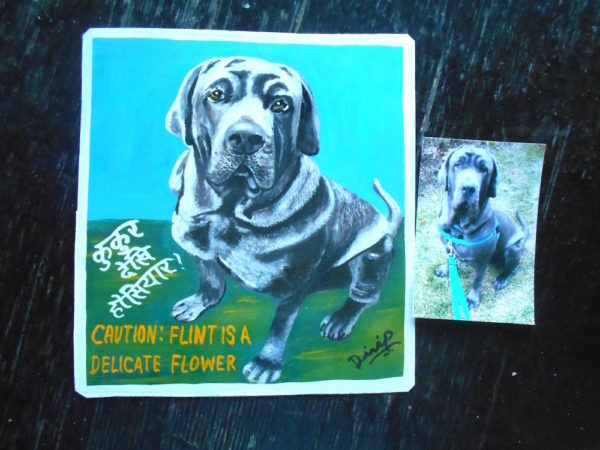 Flint is looking fine is his portrait by Dilip. Flint is a massive Mastiff who apparently is also a delicate flower! The lettering can be changed at no cost to you, if you’d like.